Whisper is a medium brown deer with white spots on her back. She has black button eyes, a larger dark brown button nose and two tiny brown ears either side of her head with cream coloured material inside them. Whisper’s belly is cream coloured and her hooves are dark brown. 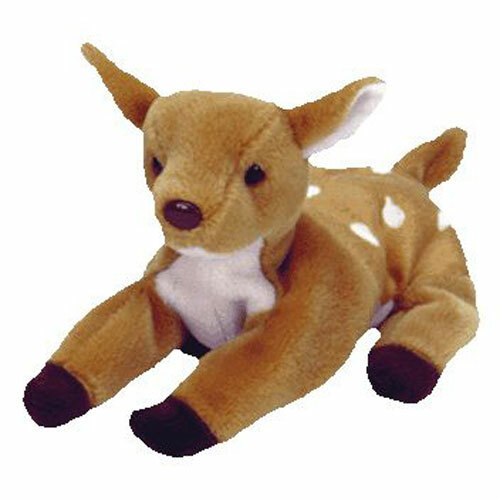 This little fawn will love you so much! Whisper was released on 30th May 1998. Her Birthday is on 5th April 1997. Whisper was retired on 23rd December 1999.